Moderate eating, exercise, friendships and generosity can help maintain the gift of health during the holidays and in 2015. Maintain your exercise routine as much as possible throughout the holidays. Try to get good nights of sleep. Remember to enjoy the holidays and don't let stress overwhelm you. 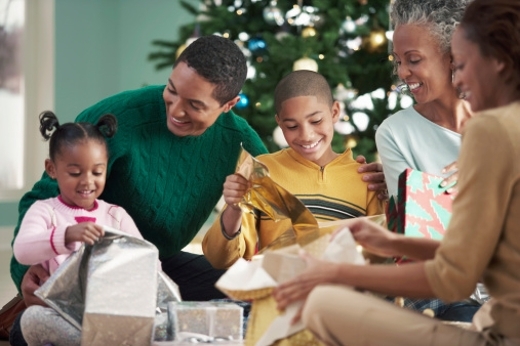 It's a time for family and friends and it's not really about the shopping, cooking and other stressors. All things in moderation. You can have a few bites of anything you like, but don't overeat high fat foods. Spend some quiet time during the holidays, such as attending religious or musical holiday events to de-stress and promote peace and better wellbeing. Be generous during the holidays. People who give to others tend to live longer and healthier lives. Give lots of hugs during this time of year. Older people need to be hugged, and social connections promote healthy aging. Eat more fruit and try to avoid cakes, pastries, pies and cookies. If you attend holiday parties, consider adding ginger ale or club soda to your wine as a spritzer, so you can continue to socialize and not over indulge. Most women should only have one or two glasses of wine per day. Plan for a heart healthy New Year. Set up time for healthy diet and exercise in 2015. Consider being screened at the Emory Women's Heart Center. Call 404-778-7777 to make an appointment!